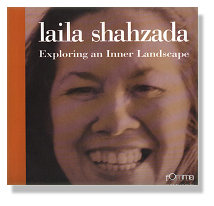 This volume on the late Laila Shahzada, is the third in a series of monographs being produced by FOMMA- Foundation for Museum of Modern Art aimed at introducing outstanding contemporary artists and architects . Laila Shahzada was foremost among the handful of women artists of the 60s brave enough to forge a modern idiom to articulate their aesthetic sensibilities. Fascinated by driftwood washed along the seashores of Karachi, she conjured her singular âDriftmoodsâ, a series of contorted, swirling rhythms laden with emotive content. The first artist to draw inspiration from the archeological sites of the Indus valley and Taxila region, Lailaâs oeuvre played an important role in initiating and popularizing the ancient history of Pakistan as viable subject matter. An artist with a number of international exhibitions to her credit, she was the only cash til payday loan Pakistani to be honored with the key to the city of New York. Always exploring an inner landscape Lailaâs art was characterized by rich colouration and stirring organic undulations with a strong accent on the surreal and the mystical. Free spirited and bohemian by nature she was a very warm and generous person who enjoyed the goodwill of the art fraternity. Salwat Ali is a practicing artist with a strong interest in the history and culture of Pakistan. She has been writing on art since the 1990s. Her articles, reviews, essays and monthly basis in the countryâs leading newspapers and periodicals like dawn Gallery, an exclusive art supplement of dawn, as well as the Tapestery page of The News, and Artline, the special art pages of the magazine Newsline. Price: Rs. 950 plus p.&p.